In other news, still sick, but not like I was. It pays to whine on one's blog, apparently. I got calls from two friends, who both told me I sound awful. Comforting, somehow. At least I know I'm not faking it. Sometimes I'm not sure. These little tests are fun, but I think a conservative bias is subtly built in to this one. 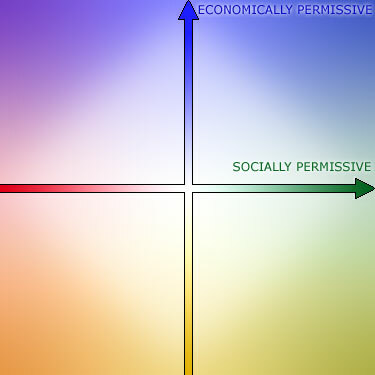 When I looked at the grid showing the political ideologies, I saw that one could test as very "Republican" before one is considered a "fascist," but one doesn't have to be all that "Democratic" before one is considered a "socialist."